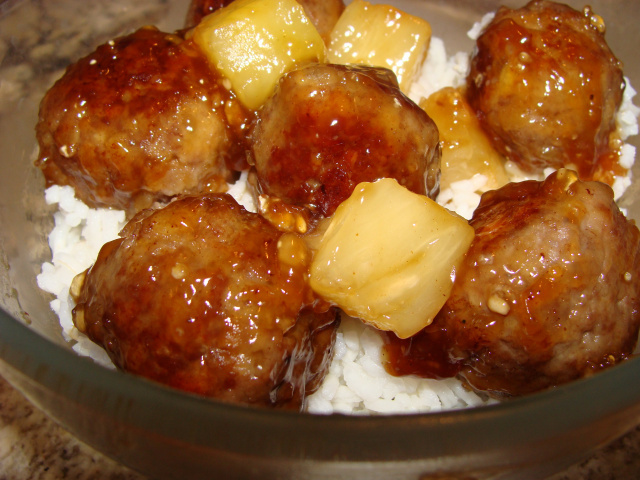 Place meatballs in crock pot; top with green pepper and drained pineapple chunks. In a separate bowl, mix reserved pineapple juice, brown sugar, cornstarch, vinegar and soy sauce. Pour sauce over meatballs, pineapple and green peppers. Cook on low for 3-4 hours or until heated through.